Sleep experts all agree that we should each take whatever steps we can to ensure the best environment for sleeping in our bedrooms. This includes everything from setting the thermostat to a comfortable level, blocking out light, buying good bedding and choosing the right décor. What this also means is that you will always benefit from learning how to select the perfect rug for your bedroom, too. 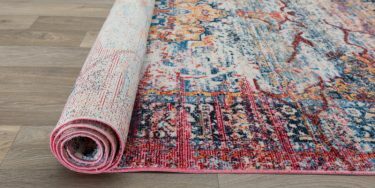 In this article, we are going to consider the ideal “area rugs” for bedrooms because they can be used in so many ways to boost comfort, esthetic appeal and even add a bit of noise reduction! Additionally, and as one design expert noted, am area rug can help define specific parts of your bedroom. All of these features of rugs make them helpful in creating a great sleeping space, but also even a laid-back and welcoming living space where you can spend leisure time on your bed or in a cozy armchair. Even if your design esthetic is “bare bones basic”, you still have a style. For example, it could be that you are all about natural materials like wool or even sea grass. It could be that you like bold hues or you prefer rugs to counteract stronger colors on the walls or furnishings. 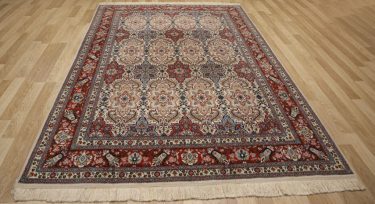 Maybe you like rugs with deeper pile or opt for woven rugs, like kilims that have a low profile but wonderful texture. So, when thinking of style, ask your self about the texture, any colors or patterns, and even the mood or tone you want the rug to establish in the space. What space is that rug to cover? Will you have it extending past both sides and the foot end of the bed? Maybe both sides of the bed will be furnished with runner rugs to give some warmth when you first step out of bed. Perhaps you want that rug to frame out a small sitting area in one corner of the room? 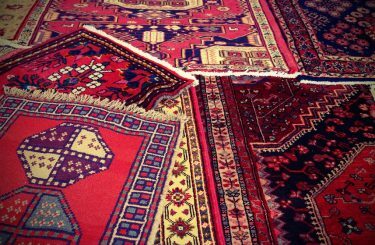 Don’t feel you are limited to a single size or rug. You can pair multiple rugs in your bedroom, just make sure that they have the right amount of space around them and that they make sense to you visually. You don’t want to feel overwhelmed or cluttered in the bedroom as this is actually disruptive to sleep and the general use of the space. 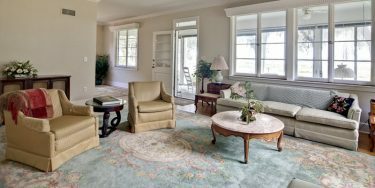 Did you know that most decorating experts would tell you that when selecting a rug, it is wise to choose the rug first and then decorate the rest of the space? This makes a lot of sense because it can be incredibly hard to find a rug that works with all of the other elements in your room rather than vice versa. However, you can vastly improve almost any design scheme if you choose a rug and choose everything from wall color to small accessories to coordinate with it! 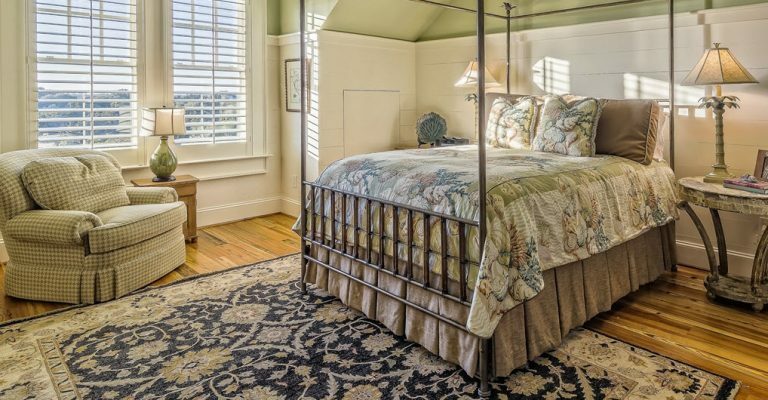 Don’t overlook texture and materials when choosing a bedroom rug. You can mix and match materials or styles but do keep a central concept in mind. For example, if you have sisal rugs, go ahead and choose different weaving patterns and sizes, but don’t toss a fussy shag rug into the mix, too!